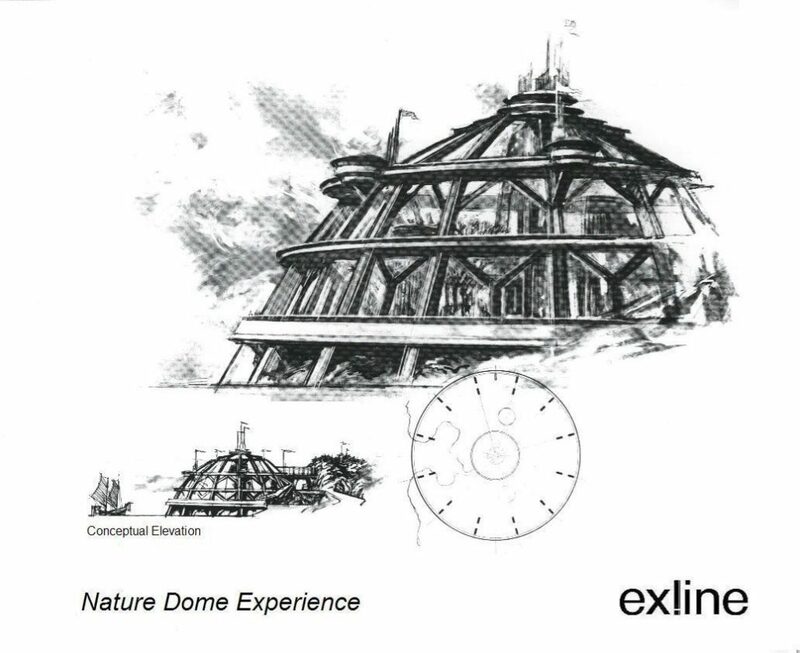 A concept generated for a site just off the coast of Japan, Exline Design & Architecture (EDA) played a key role in the development of an innovative natural science and entertainment center called the Yoshima Experience - Japan Nature Dome. 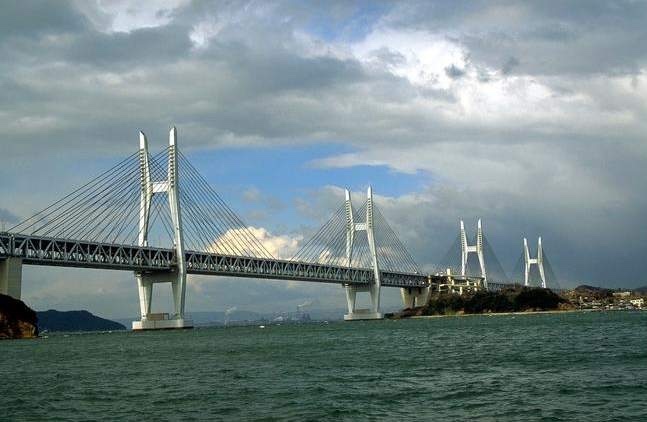 Assisting Los Angeles based production company Cinematix, EDA took a lead role in the generation and presentation of this blue-sky conceptual package for corporate client Mitsubishi Japan. 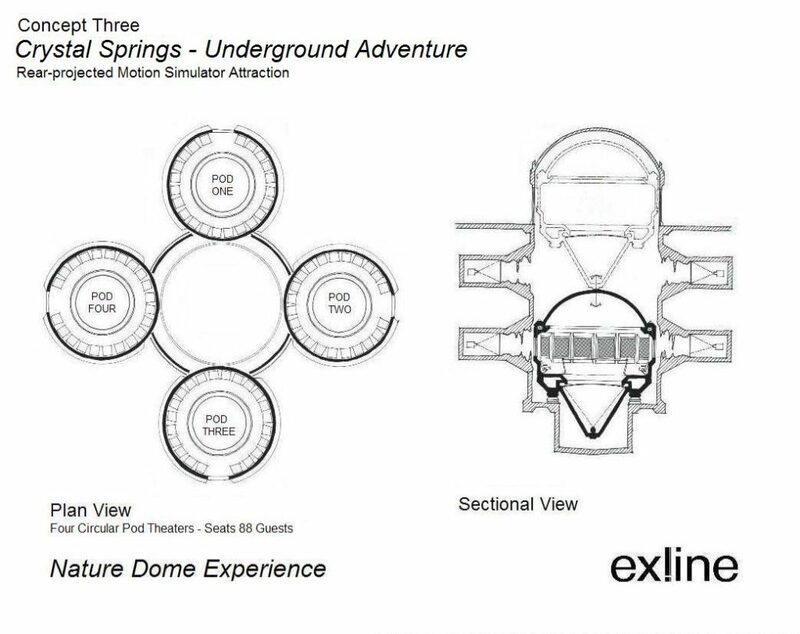 The concept centered on a large dramatic domed structure that was conceived as an interactive interpretive center that would house a number of automated adventure experiences within a controlled "Biosphere" environment. 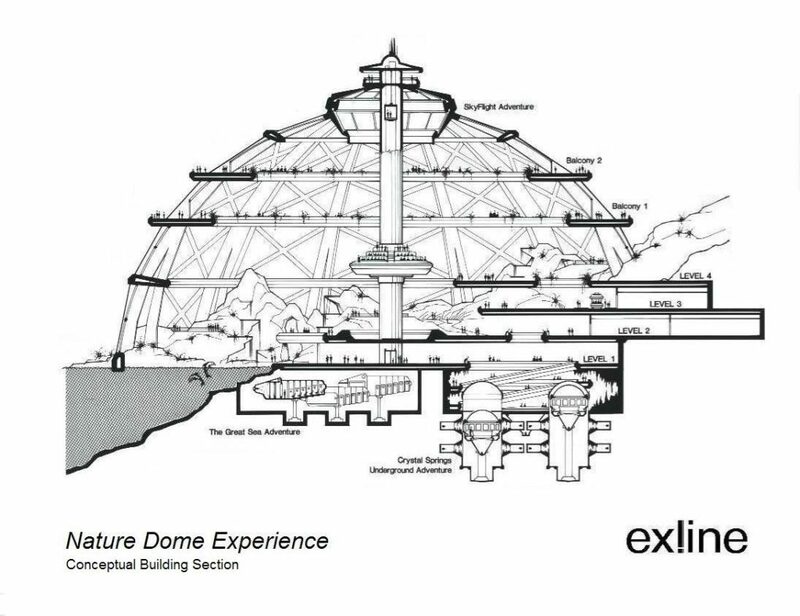 Following a theme of environmental awareness, the climate, water, and light conditions within the dome supported a collection of indigenous species of flora and fauna that would be displayed in near-perfect natural balance. 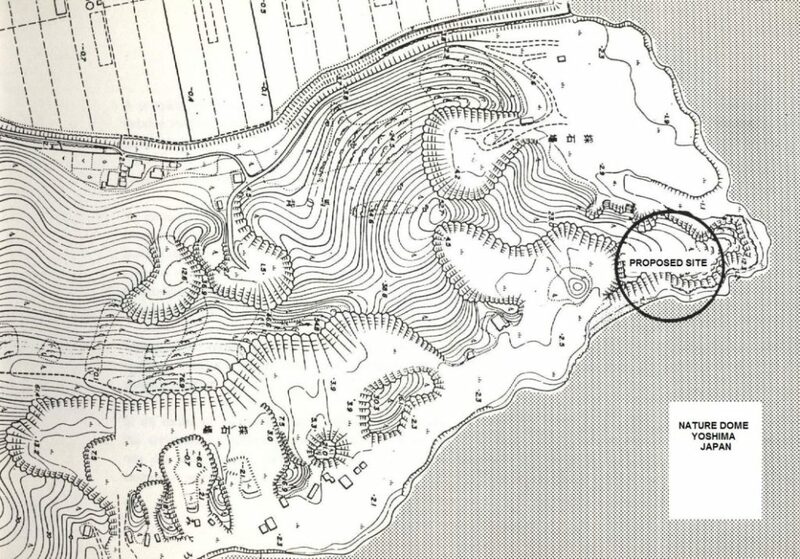 Situated on the coastal shore of the island of Yoshima, this domed "Garden of Eden" would offer a self-guided tour through various biomes of unique ecological microclimates. 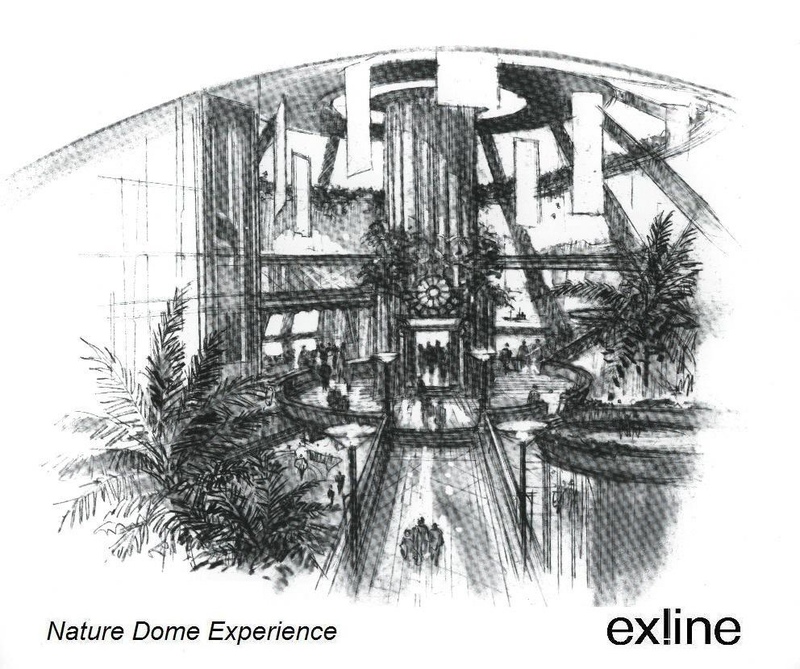 As guests made their way through the dome's densely vegetated interior, they would also discover automated attractions based on themes of earth, sky, and sea. 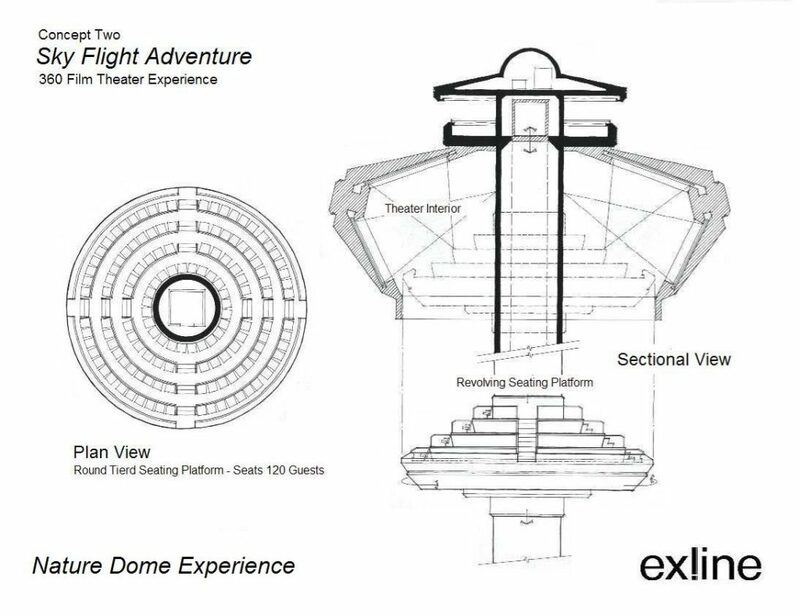 The Sky Theater would transport guests on an adventure right through the roof of the dome and then "fly around the island" in a 360 degree film experience. 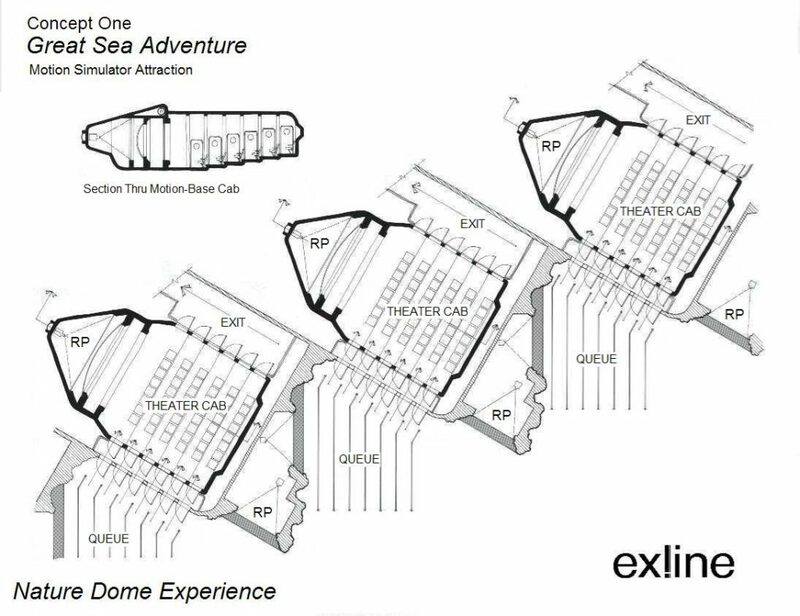 A simulated underwater motion-simulator excursion would explore sea life around the island, and an exciting inner-earth micro journey would take guests on a voyage to the very center of the Earth! 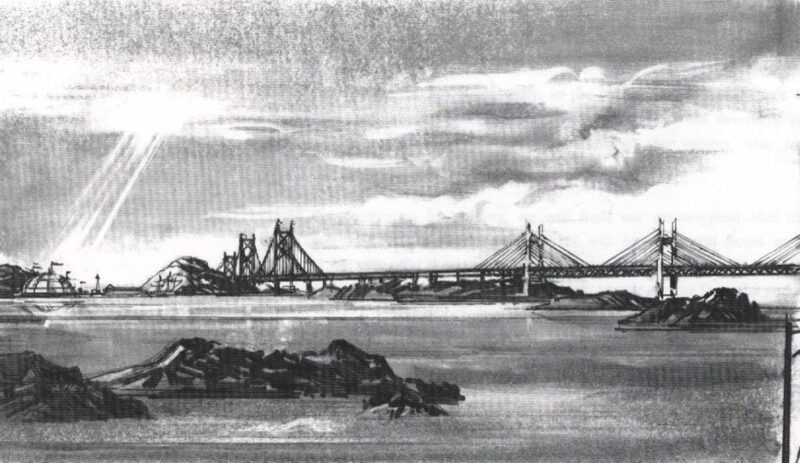 EDA was involved in the initial concepting, schematic design, and presentation of this "environmental exploratorium". 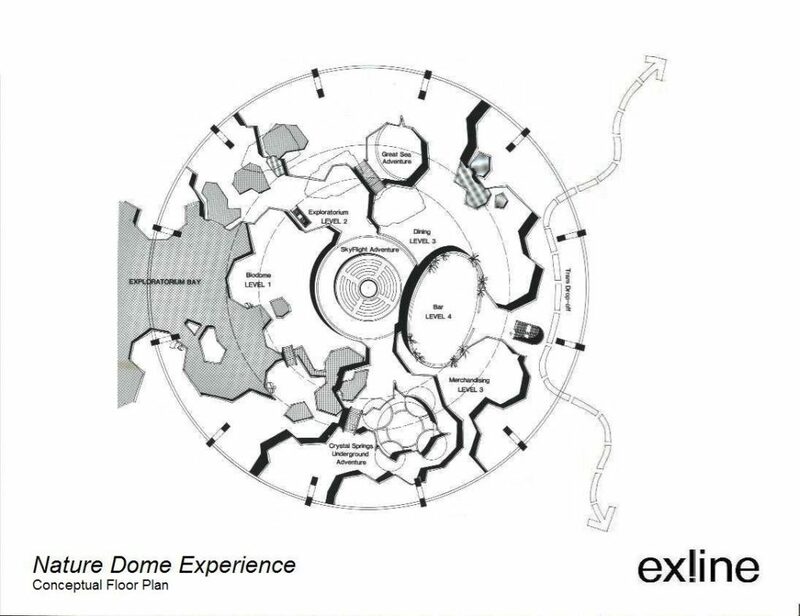 EDA also researched and developed the specific themed attraction concepts housed within the facility. 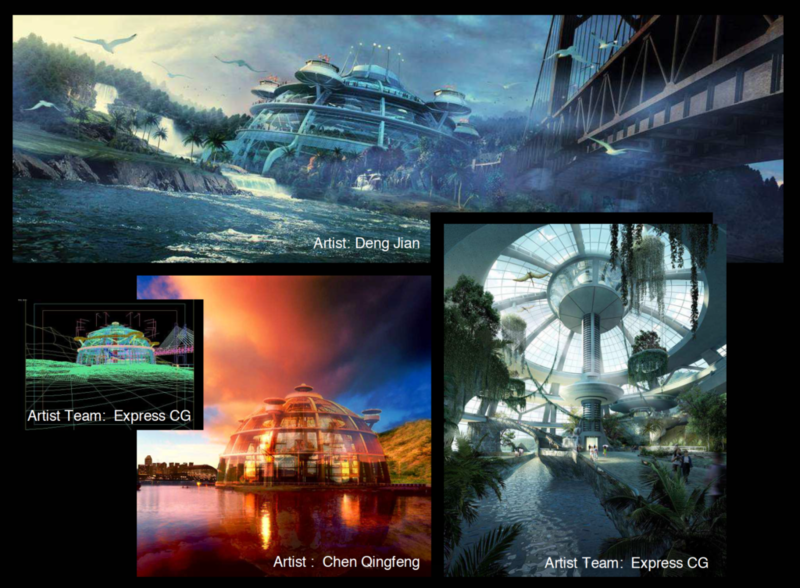 Concept Designer: Mr. David E. Exline, AIA, NCARB, Exline Design & Architecture; Production Designer: Mr. John DeCuir, CINEMATIX; 3D Visualizations: Mr. Jeff Mottle, CG Architect; Client: Mitsubishi Japan.